The LitWorld Team is in Africa! The LitWorld team has arrived in Africa, and they have had an amazing journey so far! 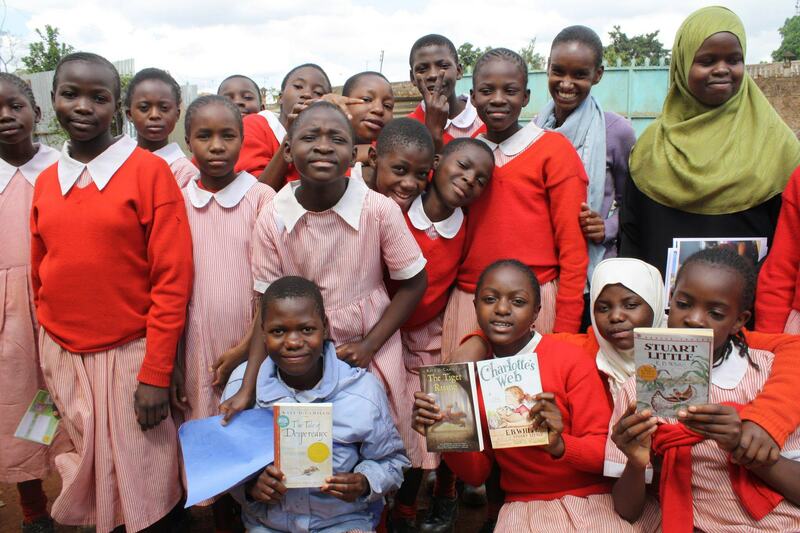 After spending a few days in Kibera, Kenya, they are now in Rwanda to push forward our crusade to share the gift of reading, writing, and story. Denise Ortiz of Sharing to Learn joins the team on this journey, and has helped the Red Rose School create a new library! Our dear LitWorld friend Sophia, teacher of grade two, enjoys her role in creating the library. 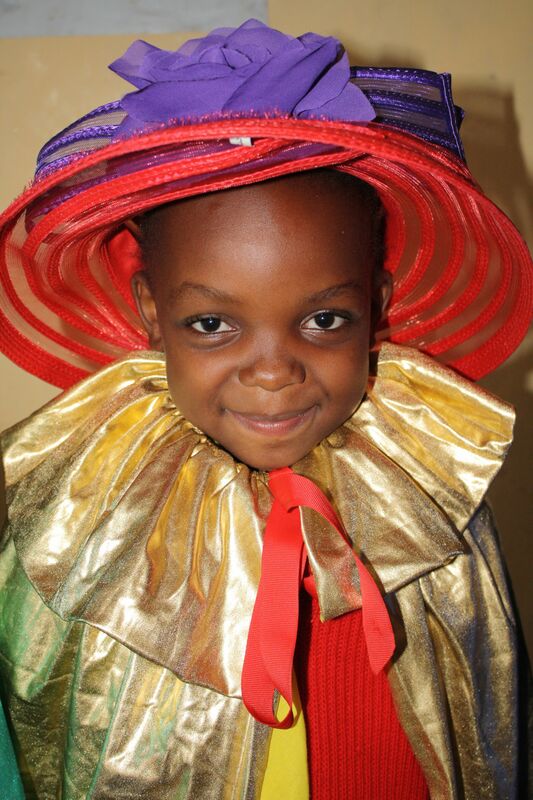 As you may remember from our past blog post, we packed up a bag full of hats and fun costumes for the children in Kenya. We wanted to inspire them to create stories and explore their wildest imaginations, so we brought a few props to help them get in the spirit! These photos below show the costumes in action, and as you can see from their smiles, these costumes have brought fun and magic to their community! Speaking of big imaginations, the men of the LitWorld team sure know how to use theirs! Pictured below are Bill Krupman, Jim Allyn, and Jeremy Kohomban of the Children's Village reading "Where the Wild Things Are" to a group of ecstatic young readers stirred up with excitement and a healthy dose of ruckus! Our Girls LitClubs in Kibera, Kenya are thriving and growing, and we're excited to find that the young women who are a part of the LitClubs have grown huge confidence & friendships, while being taught to read and write! Needless to say, the team is having a wonderful time, and have left Kibera, Kenya, to journey to Rwanda. More updates to come soon! Older PostThe Bags are Packed: LitWorld's Off to Africa!